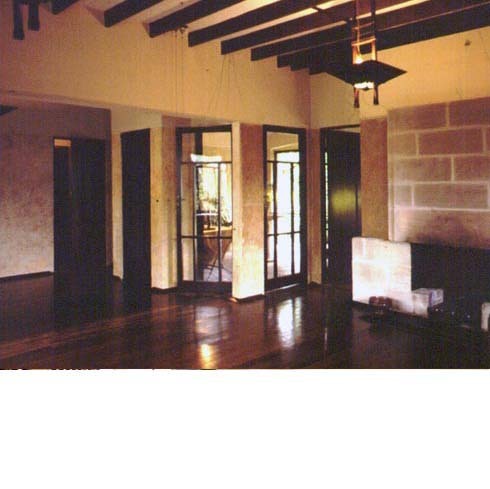 Designed by Walter Burley Griffin, this 1920s house is the first and most recognisable example of his ideals established in the model community of Castlecrag. Design 5 was commissioned by the Historic Houses Trust in 1993 to undertake conservation works guided by the HHT’s Conservation Plan. The work involved careful repairs to original stonework and fabric, improvement of sub-floor ventilation and drainage to ensure the survival of early timber floors, the opening up of an enclosed porch and repairs to the roof, bathroom areas and trellis planter boxes.